An ‘appalling’ assault on a security guard at Portadown’s People’s Park has been condemned by Sinn Fein. Police said a group of males assaulted the man shortly before 9pm last night (Thursday). Deputy Mayor of Armagh, Craigavon and Banbridge Council, Cllr Paul Duffy called on the culprits to hand themselves in. He said there was extensive CCTV in the area and describe the attack on a council employee as ‘appalling’. 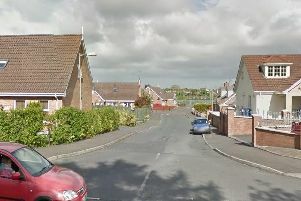 The PSNI said: “Police are appealing for information following a report of an assault at the Garvaghy Road area of Portadown last night (Thursday 27th September). Sergeant Downey said: “Shortly after 8:50pm, it was reported that a group of males assaulted a man in the People’s Park area. The man was taken to a nearby hospital for treatment to his injuries that were not believed to be serious. The males are believed to have made off towards the Park Road area following the incident. Enquiries are continuing.